Hotel accommodation with twin sharing with breakfast, Guide, transfer, entrance fee as in the above schedule. * Final booked number of pax can be subject to season or date. * Kindly note that we have no responsibility for your personal incidents and losses during all the tours. Halla Arboretum was established for the study and the preservation of the natural environment. Opened in December 1993 near Gwangi Oreum, there are 909 kinds of native trees and subtropical plants exhibited here. The arboretum serves as a wonderful training resource for students and experts alike. It is also a popular themed attraction among tourists. There are 2,722 endangered and rare plants such as the Michelia Compressa and Euchresta Japonica, and the Chloranthus Glaber that only grows at Cheonjiyeon. At Halla Arboretum you can meet the four-season flower forest, colorful forests, and the beautiful seasons of mother nature at Halla. You can take pictures with them. 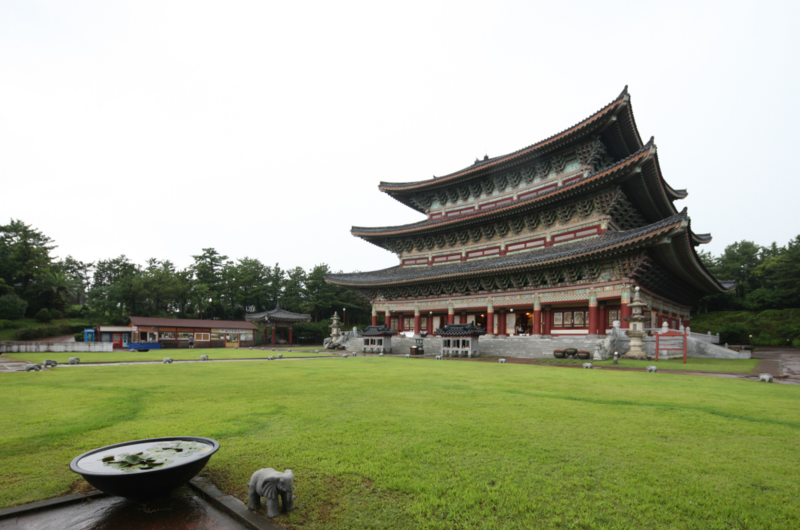 The architectural style of Yakcheonsa Temple is reminiscent of that of Buddhist temples of the early Joseon Dynasty. Measuring an impressive 30m high and spanning a total area of 3,305 meters squared, it is the largest temple in the East. Upon entering Yakcheonsa Temple, guests will be greeted by a 5m-tall statue of Vairocana, the tallest of such statues in Korea, on a 4m high pedestal. The walls on both the right and left have been sculpted into large altar portraits of Buddha and in front of the Dharma Hall is a giant Buddhist temple bell, weighing 18 tons. Beloved for its size and grandeur, the temple consists of a main temple (2,652 meters squared) and a 3-story residential structure for the Buddhist monks. 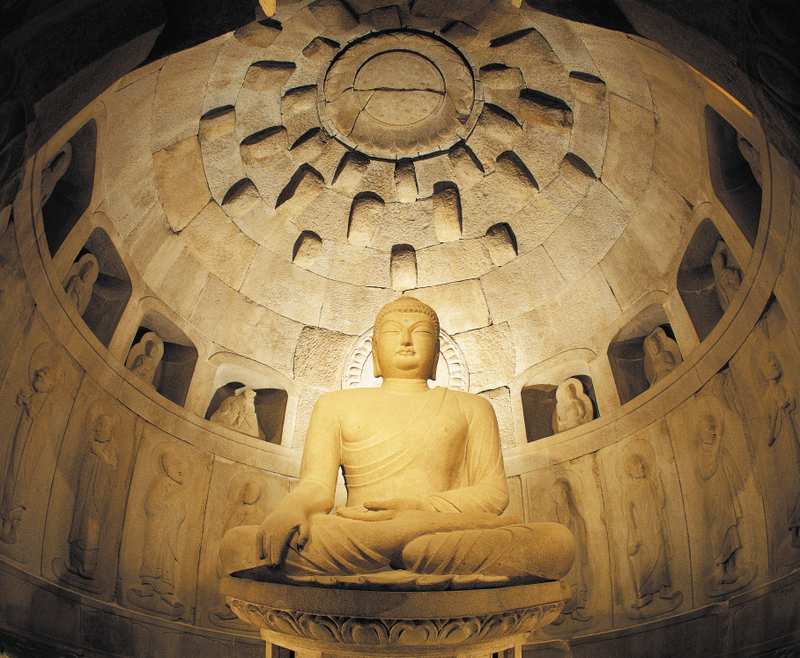 Other notable sites are the Gulbeopdang (the Dharma Hall, built inside a natural cave), the Samseonggak Shrine, and the Sarira Pagoda. Yakcheonsa Temple is not only popular among Buddhists but is also a well sought after tourist destination. 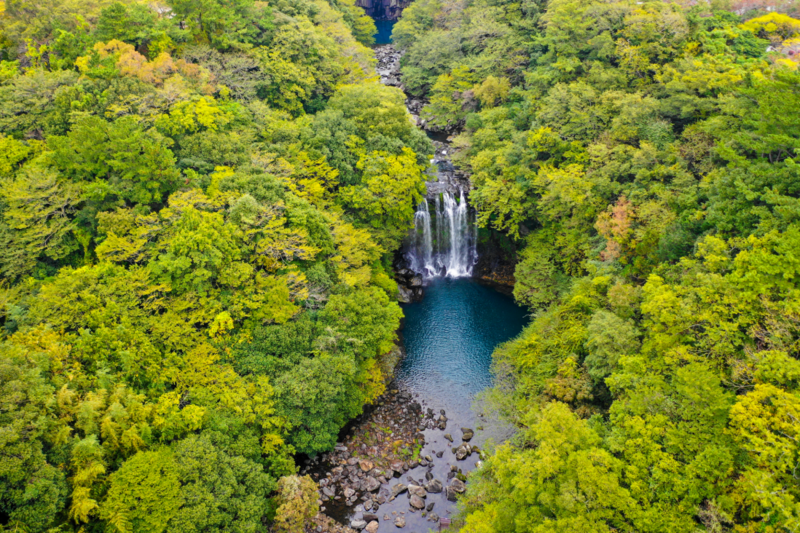 Cheonjeyeon Falls, named "The Pond of God," consists of 3 sections. Around the falls, a variety of plant life thrives, such as the rare ‘solimnan’ reeds. To the east, there is a cave where cold water pours from the ceiling to create the first waterfall. The water gathers into a pool and from there, falls two more times, creating the second and third waterfalls, which then flow into the sea. In Cheonjeyeon Valley, visitors can see Seonimgyo Bridge (arch bridge with 7 nymphs carved on the side) and the octagonal Cheonjeru Pavilion. Seonimgyo Bridge is also called Chilseonyeogyo, meaning "seven nymphs bridge," and it connects Cheonjeyeon Falls with Jungmum Tourist Complex. Camellia Hill is a camellia arboretum that was created on a plot of land in Sangchang-ri, Andeok-myeon, Jeju-do that spans 172,000 square meters. The arboretum is home to 6,000 camellia trees of 500 different species including species that are known to produce the world’s largest and earliest blossoms. In addition to camellia trees, the arboretum also boasts palm trees, wildflowers, and other plants as well as a sprawling grass plaza and an ecological pond. 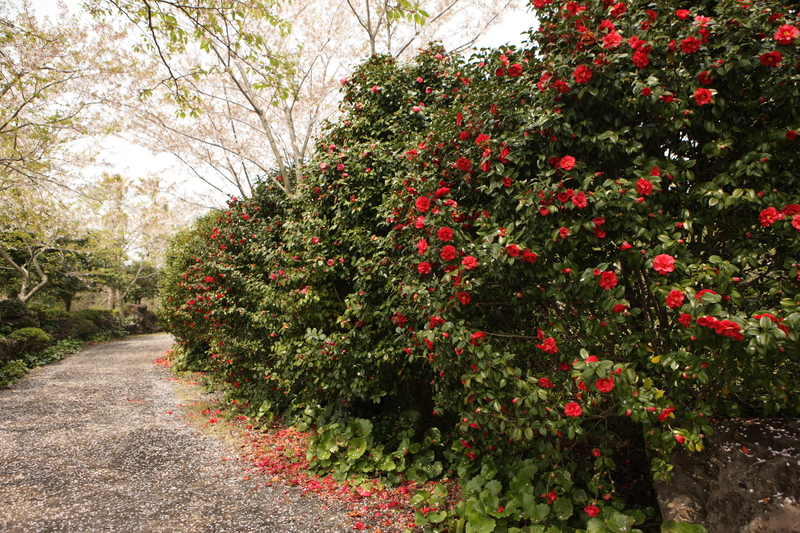 Auxiliary facilities include a gallery exhibiting camellia-themed crafts and a multipurpose seminar room. Camellia Hill also offers a variety of lodging facilities ranging from thatched-roof cottages and wooden cottages to steel houses and a condominium-type resort. Seopjikoji is located at the end of the eastern shore of Jeju Island and boasts a fantastic scenery especially in April when yellow canola flowers are in full bloom. 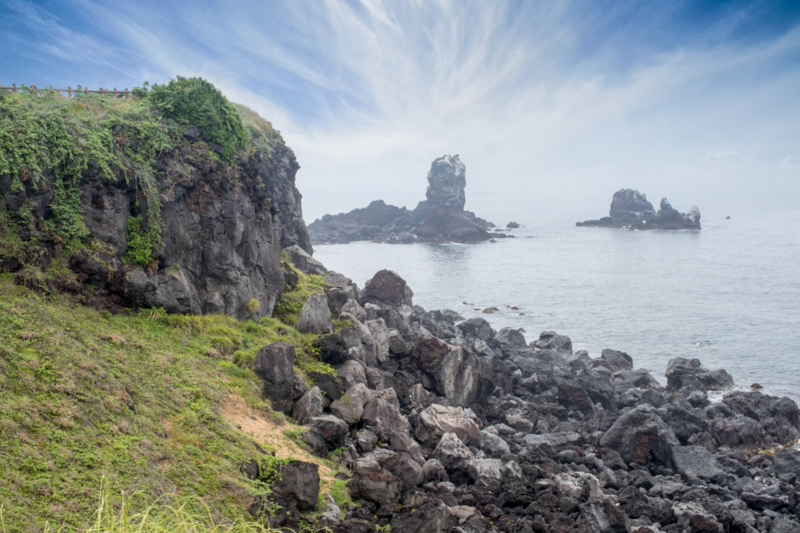 "Seopji" is the old name for the area, and "Koji" is Jeju dialect meaning a sudden bump on land. On top of the hill stands Hyeopja Beacon Fire Station, reaching 4 meters in height with a width and length of 9 meters. Seopjikoji was the filming site of "Gingko Bed," "The Uprising," "One Thousand and One Nights" and other Korean TV dramas. 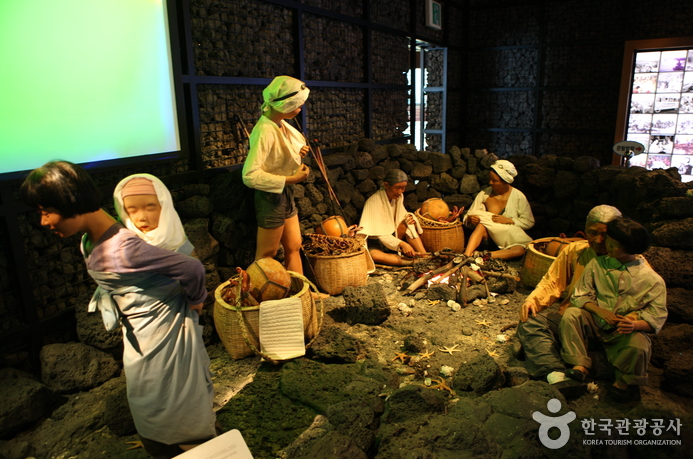 Nearby attractions include Jeju Folk Village and Udo Island. Haenyeo refers to female divers who dive into the ocean water to gather various shellfish, seaweed, etc, without using any underwater diving equipment. When diving underwater, a haenyeo carries only a pair of goggles, a round ball-like tube to keep her balance, and a basket to put her collections in. Such women involved in the fishing industry are known to be scattered all around Jeju-do, Korea, Japan, and Russia. eju-do has established the Jeju Haenyeo Museum to introduce to the world the unique activities and culture of Jejudo’s haenyeo female divers. Exhibition Hall 1 is entitled “Haenyeo Diver’s Life” and has a restoration of a traditional haenyeo’s home, and her meals. Also on display, to show a more realistic view into their daily lives, are the various utensils used by female divers. If time is available, visit the Musuem of Natural History – to have an opportunity to experience and learn about the environment and shows how to preserve the earth’s natural beauty. Stop by Korean Jewelry Amethyst and local product store. Back to Jeju Airport and Fly to your next destination around 17:00. 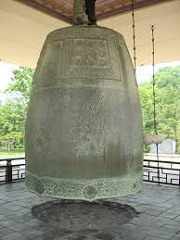 Gyeongju National Museum houses numerous historical and cultural artifacts of the Silla Dynasty (57 BC - AD 935). Not only strives to preserve, exhibit, and research the rich history and culture of Silla, it also strives to take leap toward becoming a cultural multi-complex center by promoting international exchange opportunities, social education programs, and a variety of special exhibitions. This astronomical observatory was built in the Silla Dynasty (57 BC – AD 935). With a height of only 9.17m, the tower was built with exactly 365 stones to represent the number of days in a year. located in Gayasan National Park. Haeinsa Temple was founded by King Ae-Jang of Shilla Dynasty (802), well known for its famous treasure “ Tripitaka Koreana ”(UNESCO world heritage) composed of 81,341 printing woodblocks made to repulse the Mongolian Army Invasion with support of Buddha. The palace was originally constructed in 1394. It was a symbol of majesty for the Korean people and the home of the royal family. Remarkably, the most representative edifices of the Joseon Dynasty, Gyeonghoeru Pavilion and Hyangwonjeong Pond have remained relatively intact. In ancient times, the royal guards of Joseon Dynasty performed the given task by guarding the Gwanghwamun Gate, the entrance of Gyeongbokgung Palace where the king ruled the country. Since 1469, the ceremony has taken place and its record has been consulted for the present reenactment ceremony. Known as the 'miraculous medicine,' Ginseng is Korea's representative medicinal crop. Ginseng is used as a way to recover health, strengthen the body, and calm the mind. you will experience the culture of the late Joseon Dynasty, It’s huge village that has about 260 different types of house of each province. 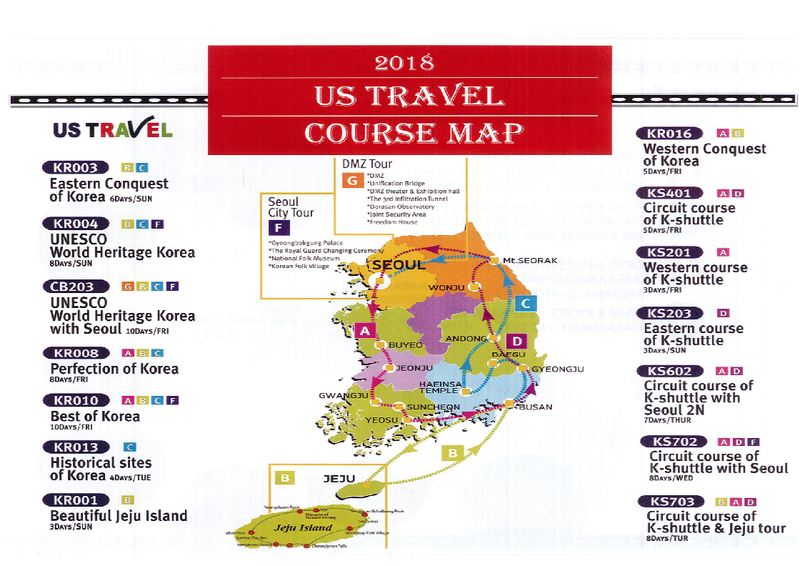 Round off the travel with Exploring exotic Seoul!